Four children and two adults are missing and probably dead following a fierce fire that consumed a house in rural northern Indiana early Wednesday, officials said. LOGANSPORT, Ind. 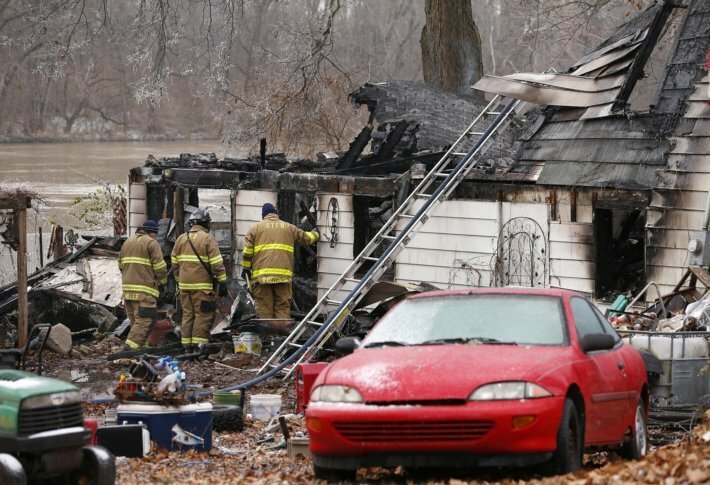 (AP) — Authorities recovered six bodies including those of four children Wednesday from the rubble of a burned-out northern Indiana home, police said. The man’s wife and his adult son survived the fire and were taken to a local hospital, Slocum said. The relationship between the two families wasn’t immediately clear, he said.